Last week, on the 23th of January 2019, partners signed the Partnership Agreement. In this WaterWorX project, Dutch water companies - through VEI - support the water companies in the provinces of Hau Giang, Soc Trang and Can Tho in delivering sustainable and resilient water supply services in the context of climate change. Although coverage and service levels are relatively good in Vietnam, serious challenges including land subsidence, saline intrusion, reduced availability of groundwater and pollution of surface water pose heavy risks on the future water supply. A regional approach for upgrading, expansion and modification of supply schemes is believed to be necessary. The current institutional and legislative landscape is fragmented and not furnished to effectively cope with those challenges. The intention for phase 2 and 3 of the WaterWorX programme, which runs until 2030, is to up-scale the project to the entire south-western Mekong Delta, improving water supply for 10 million people. 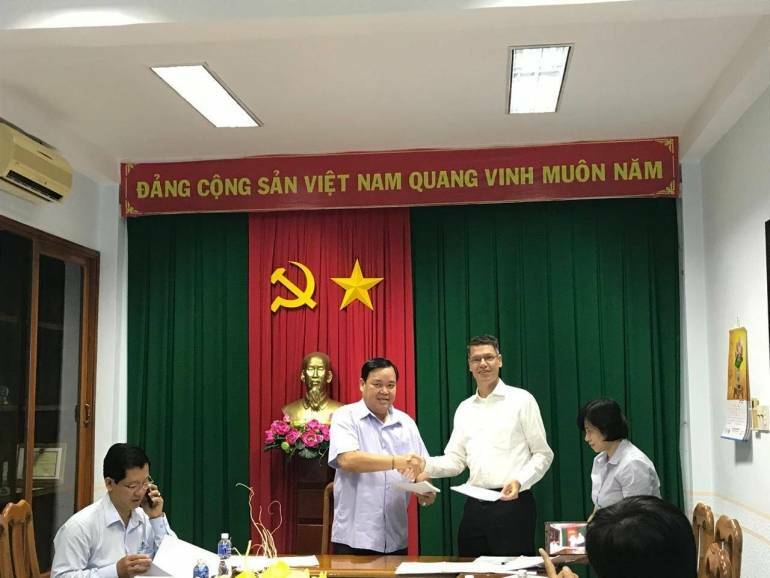 We are looking forward implementing this interesting project and strengthen cooperation and synergy with Dutch water sector colleagues in the Mekong Delta.